Looking for a whimsical gift? Why not consider one of the many wonderful water globes available. The water globes start in price at only about $15, and make terrific gifts for both the children and adults in your life. 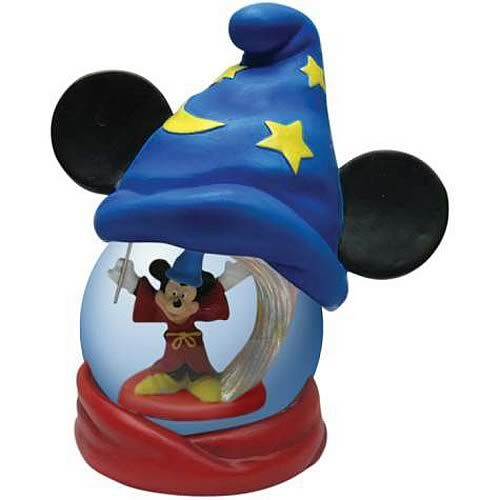 This Mickey Mouse Sorcerer’s Apprentice Water Globe is very cute, with the touch of whimsy of Mickey inside the globe which is shaped like Mickey’s head. There are water globes with Christmas scenes, entertainment scenes, and sports scenes, as well as beautiful water globes that can be personalized just for you. Browse through the pages on this site, and on our partner sites for even more choices.